This week, the Iranian National Guard photoshopped a picture of their missile test to make it look like a missile the presumably failed to launch had taken to the air successfully. Needless to say, when the Media Industry found out, they were outraged. 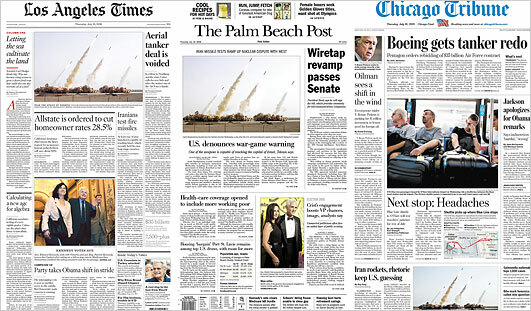 Several top papers had already run the image on their front pages, and their corrections were necessarily harsh on Iran. I write code most days. Prevously: photojournalist, EMT. Somewhat obsessed with jouralism. 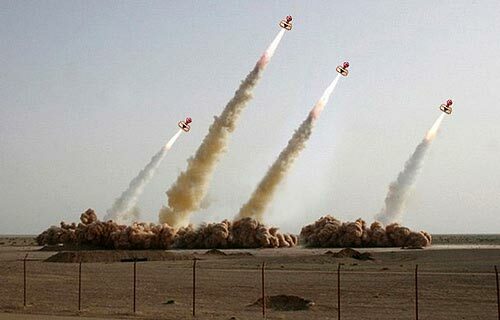 A funny photoshop take on Iran's photoshopping debacle.